Phased development with gate reviews has delivered many benefits to product development organizations. This process ensures business perspective is incorporated into product development. Gate reviews are generally led by senior managers. Their engagement drives organizational consensus and resource commitment. Gate reviews also guide the organization away from risky endeavors by focusing on predictability and return on investment. However, stage gate process also introduces some challenges. This process is only applicable to large new product development efforts because of the additional overhead and required senior management time commitment. The gate review process is hard to implement on small sustaining engineering projects where the goal is fixing some issues or improving manufacturability. It is hard to apply this process to small technology development, advanced R&D or disruptive innovation projects. In many organization this means that small projects do not follow any consistent process. Hence managers loose visibility and control over the entire portfolio. 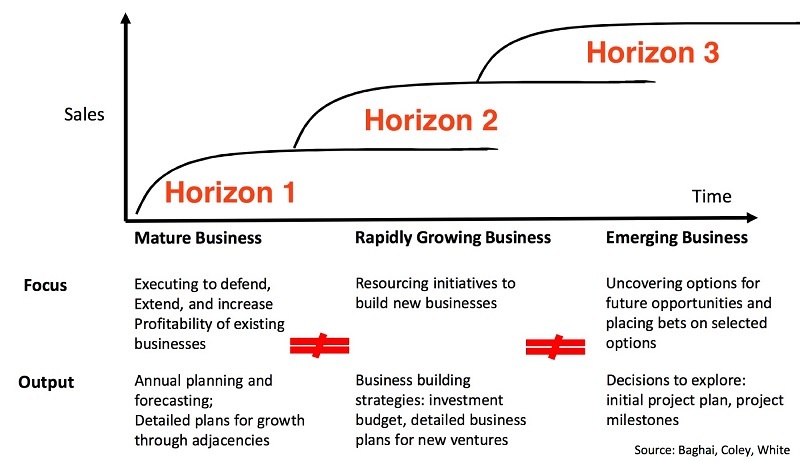 * Horizon 1 activities support existing business models. * Horizon 3 is focused on unknown business models. It is important to keep in mind that these time horizons are being described at project start. The actual completion time changes with development progresses or resource allocation. For example, a Horizon 3 project that was started 5 years ago will be near completion now and may even be considered a Horizon 1 project. So, management and application of processes needs to change as the project progresses. 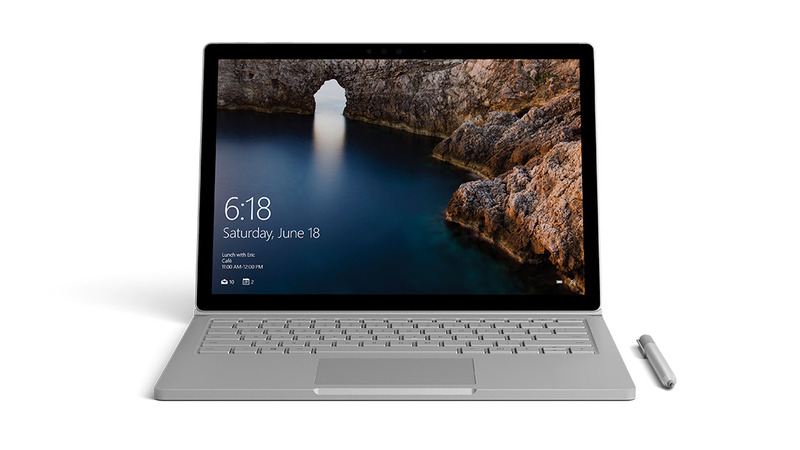 The sources believe Microsoft’s decision to lower the price range for its new Surface Book is because the existing Surface Book’s high price level has significantly limited demand, while the detachable design also created conflict with its Surface Pro product line in terms of product position. Because of the two factors, the sources estimate that Microsoft only shipped 500,000 Surface Books in 2016.With the Surface Book to be positioned as a traditional notebook product and feature a friendlier price level, the sources expect related shipments to reach 1.2-1.5 million units in 2017, while the Surface Pro, despite weakening demand for tablets, will enjoy on-year shipment growth of 20% to reach six million units in 2017. New product platforms that are significantly different from existing product-lines are notoriously hard to develop. It appears that even a very successful product platform such as Surface Book may actually need updates. What is Research & Development (R&D)? The activities that are classified as R&D differ from company to company, but there are two primary models, with an R&D department being either staffed by engineers and tasked with directly developing new products, or staffed with industrial scientists and tasked with applied research in scientific or technological fields which may facilitate future product development. In either case, R&D differs from the vast majority of corporate activities in that it is not often intended to yield immediate profit, and generally carries greater risk and an uncertain return on investment. There are many reasons why definition of R&D changes across companies: Corporate Culture, History, Organization Structure, etc. So, is there a good way to define what is R&D? ..it is unclear whether NPD practitioners as a group (not just researchers) are knowledgeable about what represents a NPD best practice. The importance of this is that it offers insight into how NPD practitioners are translating potential NPD knowledge into actual NPD practice. In other words, are practitioners aware of and able to implement NPD best practices designated by noteworthy studies? The answer to this question ascertains a current state of the field toward understanding NPD best practice and the maturity level of various practices. Answering this question further contributes to our understanding of the diffusion of NPD best practices knowledge by NPD professionals, possibly identifying gaps between prescribed and actual practice. 1. Strategy: Strategic alignment for R&D was considered the most important dimension of the seven considered. The article defines strategy as everything from vision definition to prioritization of projects for resource allocation. strategy involves the defining and planning of a vision and focus for research and development (R&D), technology management, and product development efforts at the SBU, division, product line, and/or individual project levels, including the identification, prioritization, selection, and resource support of preferred projects. Some of the best practices that clearly did not get implemented deal with pet projects and managing R&D projects as portfolio. Organizations did not have portfolio management processes implemented or they did not treat R&D projects as a portfolio (each was unique and not measured with respect to others. We have quite a bit of information about R&D portfolio management here. 2. Market Research: Understanding of customer/market needs and having them drive the R&D process was the second most dimension of R&D management. describes the application of methodologies and techniques to sense, learn about, and understand customers, competitors, and macro-environmental forces in the marketplace (e.g., focus groups, mail surveys, electronic surveys, and ethnographic study). Within market research, the best practices were pretty straight forward: Use customer research to drive product development. Also involve customer in testing the products at multiple stages of product development. We have discussed customer driven R&D in the past. We have also discussed that over dependence on customer can actually be harmful to R&D. We have also seen Steve Jobs talk about user centric design, he did not directly involve customers in many stages of R&D. For revolutionary products, customers are unlikely to be a good driver for R&D. 3. Product Launch: Processes associated with product commercialization / launch were rated the third most important area for best practices. 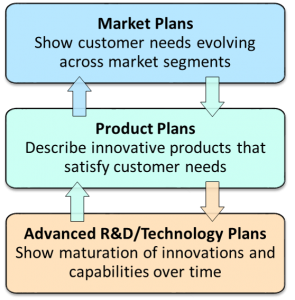 Commercialization describes activities related to the marketing, launch, and postlaunch management of new products that stimulate customer adoption and market diffusion. Bar was not very high relative to launch related processes. Most involved having a process, following it and tracking / learning from results. Product launch processes are quite important and we have discussed the impact of corporate cultures on new product launches. The key poor practice identified was keeping product launches secret to prevent unauthorized public announcement. Not sure if that can be helped. Within this framework, NPD process is defined as the implementation of product development stages and gates for moving products from concept to launch, coupled with those activities and systems that facilitate knowledge management for product development projects and the product development process. It appears that most organizations recognized the need to have common processes for R&D: Stage gates, clear go/no-go criteria and well documented processes existed. The key poor practices seem to be about inadequate IT tool support, uneven access to R&D knowledge and poor implementation of project management practices. May we suggest InspiRD? company culture is defined as the company management value system driving those means and ways that underlie and establish product development thinking and product development collaboration with external partners, including customers and suppliers. Characteristics of company culture include the level of managerial support for NPD, sources used for NPD ideas, and if creativity is rewarded and encouraged. The key complaint about company culture was a rejection of external or disruptive ideas. We have discussed this extensively. 6. R&D Climate: This dimension relates to R&D project organization (such as cross functional teams) including leadership and HR support. Within this framework, project climate is defined as the means and ways that underlie and establish product development intra-company integration at the individual and team levels, including the leading, motivating, managing, and structuring of individual and team human resources. The best practices are straight forward – cross functional teams and multiple means of inter/intra team communications. We have discussed project networks as a way to supplement cross-functional teams. A key challenge seems to be the inability to gain support for ideas that cross functions. Also, knowledge transfer across disciplines is also a major challenge. 7. R&D Metrics: Although metrics was rated the least important area for R&D management, the authors rightly point out that it is because very few meaningful R&D-related metrics exist. The metrics and performance measurement dimension of the framework includes the measurement, tracking, and reporting of product development project and product development program performance. In fact, participants could not point out a single best practice for R&D metrics! We have discussed plenty of interesting metrics. Can R&D management be strengthened through certification? This study was conducted to determine relative areas of improvement in R&D management systems for universities and research institutes in the Republic of Korea. The research was motivated partly by recent efforts of the Ministry of Science and Technology (MOST), Republic of Korea to strengthen the management system of R&D accounts in order to promote efficiency and best practices in handling R&D budgeting and account matters. To this end, MOST introduced a binding certification system that is able to evaluate the ability and skill of government-funded national research institutes and universities under its jurisdiction to manage R&D accounts. The certification system is based on a set of criteria, broken down into 3 categories and 27 subcategories. This study analyses and compares the government-funded research institutes and major universities applying for the certification of R&D accounts, based on all the categories. The overall conclusion is intuitive: Pure research institutes were better at management processes, while universities tended to capture information better. This study shows that the research institutes boast comparatively better systems for self-audit, the precontrol of R&D accounts, the R&D management organisation, the perfection of R&D management manuals and the items of trial production cost and travel expenditures. On the other hand, the universities are better organised in such aspects as the computerisation of R&D management and the database maintenance of R&D accounts. Encourage R&D staff to form informal networks inside and outside the corporation. (Good point, but difficult to do.IP Control will need to be a constant focus). Increase investment on breakthrough ideas as opposed to product improvements (The real answer is a balanced portfolio of investment. The right balance depends on the the type of business and competitive environment). Be flexible with project reviews of early stage opportunities. Focus instead on customer value and related scenarios. Review early stage opportunities as a portfolio and mitigate risks at a portfolio level. Be flexible with project management and related processes. Start Early: Start as early as possible in the process to expose your new hire to the organization’s or unit’s culture and to explain how work gets done. Get Them Working: Giving them real work immerses them in the way things function at the organization. This doesn’t mean you should let them “sink or swim”; definitely provide the support they need. Surfacing biases in the decision process—Reveal and remove emotional and political factors that have impact on decisions. Systematically cataloging assumptions—Consistently capture presumptions that underlie decisions. Scoping options into investments—Assess the future potential moves or investments opened by near term decisions. Calculating Opportunity Cost of Decisions—Consider the value of the next best alternative forgone as the result of making a decision. These four considerations are difficult to implement in an absolute sense. For example, it is hardly ever possible to compute the opportunity cost of R&D project decisions – especially the early stage opportunities. However, that does not mean that the managers should not consider opportunity costs. A checklist is an effective solution here because it avoids the effort of actual computation while removing biases across managers that pure judgement calls might introduce. This is especially true if one makes the choices in the checklist more objective: Instead of just asking portfolio reviewers to put in a score of 1 to 5, provide a brief description for each score. We could always use the alternate discussion approach if there are significant differences across portfolio reviewers.